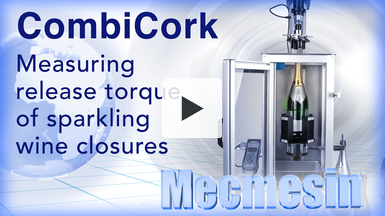 The release torque and extraction force of sparkling wine closures is measured with a Mecmesin CombiCork tester fitted with pneumatic clamps to hold different sized bottle securely in place. 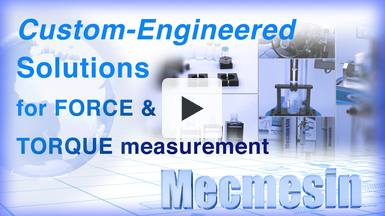 Mecmesin has designed a custom-made fixture to measure the force required to bend card and paper to 45° and 90°. 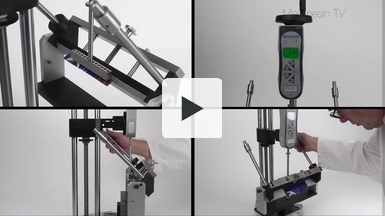 The fixture is used with a MDD manual test stand and an AFG Advanced Force Gauge. 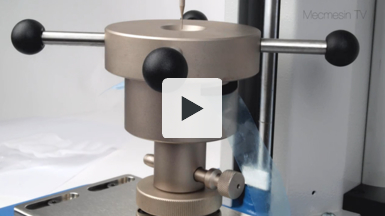 It can be used to test a range of cards and paper of different thickness and widths, providing information that will be useful when designing packaging and also for production staff concerned about the quality of paper and card.